Vibrant, minimalist new typographic covers . Bonus points for the heartening gender balance of the initial selections. "The Penguin Drop Caps series is a great example of the power of design. Why buy these particular classics when there are less expensive, even free editions of Great Expectations? Because they re beautiful objects. Paul Buckley and Jessica Hische s fresh approach to the literary classics reduces the design down to typography and color. Each cover is foil-stamped with a cleverly illustrated letterform that reveals an element of the story. Jane Austen s A (Pride and Prejudice) is formed by opulent peacock feathers and Charlotte Bronte s B (Jane Eyre) is surrounded by flames. The complete set forms a rainbow spectrum prettier than anything else on your bookshelf." "Classic reads in stunning covers your book club will be dying." 5.0 out of 5 starsOh my word, how wonderful. I don't know if it's the age I've reached (late 30s), or whether it's Lydia Davis's translation - but I can't put this book down. I read it first in French when I was 19 (but it was too much for me to take in), then in English (but for some reason it was also too much for me to take in). I've re-tried a few times, but really got nowhere. I appreciated it aesthetically, but not emotionally, I found it trying despite my best intentions. Then, having found my love of fiction on the wane over the last few years (I don't know why) - but still desperate to read - I picked up this translation, but with little hope. However I find I'm cramming as much in as I can before bed, again in the morning over breakfast, at lunch if I can...if you'd told me one day that I was carrying Proust around everywhere with me, finding it very difficult to put down, I wouldn't have believed you! Like someone who's had a religious epiphany, I want to share it with everyone, but the experience is so personal in some way that I can't find the words without sounding bonkers! I think it's absolutely wonderful. This is the first volume in Proust’s masterpiece, “In Search of Lost Time.” As I had never read Proust before, I embarked on this journey with a little trepidation. Would I simply get ‘bogged down’ as some readers suggested? Would I just not “get it…” Thankfully, I am pleased to report that this is an enjoyable and remarkable read. 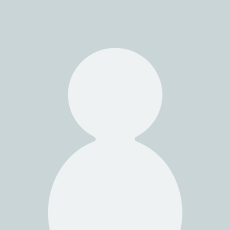 I would say that this is a book which requires you to drift with the author’s words – you need quiet and peace and time to fully appreciate this book. As such, I discovered it was not to be read during the commute, but saved for moments when I did have the peace and quiet to savour it properly. It is not a novel which should be rushed – there is no plot to race through, no need to ‘get to the end.’ Just change your perceptions from the writing rules of today – realise that sadly this book would not be published today as it refuses to conform to the ordinary – and then embrace it for what it is. So, what is this book actually about? It is actually split into three parts. The first, “Combray,” sees our narrator musing on childhood memories. It is fair to say that, if you enjoy this part of the book, you will be able to read to the end. Musings, memories, drifting passages and endless paragraphs will either embrace you – or leave you frustrated and infuriated. The middle section is almost a novella in itself – and often taken as such and taught in French schools – and tells the story of Swann’s jealous infatuation with Odette. Lastly, the shorter, third part of the book, sees our narrator having his own infatuation, with the daughter of Swann; the schoolgirl Gilberte. However, although this tells you the bare+ facts of the novel, it does not do justice to the sheer poetry of the writing and the meandering style. It is fair to say that you will either not make it to the end or immediately reach for the second volume. Personally, I am grateful that I discovered this sublime novel and have every intention of reading on. Proust has a reputation for being difficult, right? To a degree I can see why, but honestly, once you've given this book enough time (perhaps the first 50 or so pages) you begin to get to grips with his writing style, which is undoubtedly something of a challenge. Additionally, Proust isn't concerned with writing a page turner. Oh no. For me this book is verging on philosophical in that it attempts, successfully in my opinion , to convey some very deep aspects of our humanity. The book concentrates on trying to get to grips with our sensory and intellectual understanding of the world around us; e.g. the smell of flowers, the falling of light on stone, the many ways we can love etc. etc. 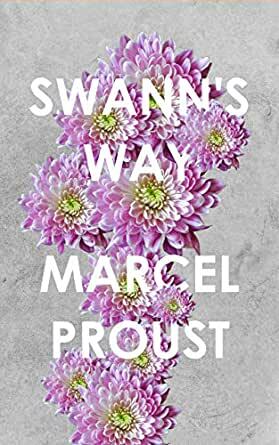 Eventually I found this book totally immersive and, whilst I personally couldn't read more than 20 pages at a single sitting (it just requires too much concentration for more) I have come to see Proust as a writer like no other and one, I suspect, you'll either love or hate. I'll open my copy now at random and type the first significant sentence I find to give you an idea of what you find here (or are up against!). Of course, it did not occur to him to be jealous of Odette, but he did not feel as happy as usual and when Brichot, having begun to tell the story of Blanche de Castille's mother, who 'had been happy with Henry Plantagenet for years before she married him', tried to prompt Swann to ask him what happened next by saying to him: 'Isn't that so Monsieur Swann?' in the martial tone one adopts to make oneself understood by a peasant or instil courage in a soldier, Swann spoiled Brichot's effect, to the fury of their hostess, by answering that they must please excuse him for being so uninterested in Blanche de Castille, but he had something to ask the painter.